Selling your house can be complex. It’s usually one of the biggest transactions we make in our life. It’s very smart to consider all your options. Just because you sell for more, doesn’t mean you will net more. You will pay steep commissions, closing costs, repairs, etc. You will be “marketing” the house, which means lots of clean-up, repairs, showings, waiting and hoping. The typical time to sell in Houston right now is 3- 6 months, or longer. While waiting you have to continue to pay the mortgage, taxes, utilities, insurance, dues, maintenance, etc. Virtually all offers from “retail” buyers have contingencies: the house has to pass inspection and, repairs may be required by the lender; an appraisal has to be high enough; the buyer has to be approved for financing. The sale is usually cancelled if any of these are not overcome. Should I Use A Realtor Or Home Investor? There should be no contingencies. If the offer is for “ALL CASH” and “AS IS,” then there is no financing needed, no appraisal needed, and no inspection needed. This means you will have peace of mind, knowing you have a “locked” sale in place, so you can move forward with your life. What Is Your Better Option? Does your house need a lot of repairs or updates to be marketable? 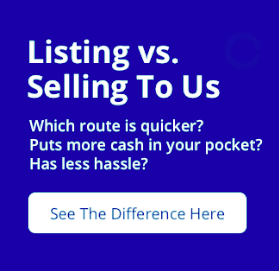 Do you want to avoid all the hassle, waiting, and not knowing of the traditional selling process? …..If you can answer YES to at least 2 out of those 3 questions, then you should consider selling to a local home investor. If you would like to get an offer from American Home Buyer, its pretty easy. Just give us a call or fill out the form below. We’ll contact you, research your home, and make our best offer. There is no obligation, and then you’ll be able to decide what’s best for you.